As the temperature cooled down this winter, we asked Architect of the Capitol (AOC) employees to join a hot (and friendly) competition – AOC Cool Tools – and share the cool tools they use to get their jobs done. Every employee, in every job we do, uses tools, from a crane that lifts heavy loads to the pen that signs the contract for the crane. We received several entries, and asked AOC employees to select the coolest tool. When all the votes were tallied, it was clear that the coolest tool this quarter was a fork. But it's a special, and historic, fork. This simple looking tool is a tuning fork. It consists of a two-pronged, U-shaped bar of steel. When it is struck against a surface or with an object, its vibrations resonate at a specific constant pitch. 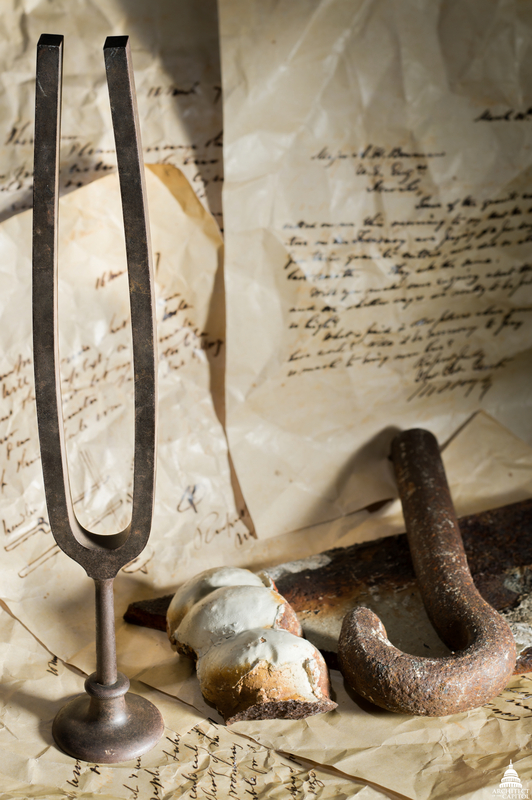 Tuning forks are frequently used by musicians to adjust their instruments. So why does AOC have one – and what makes it cool? When the Dome was being constructed in the 1850s, Supervising Engineer Montgomery C. Meigs used the tuning fork to evaluate cast iron beams made for the Capitol Dome. To test a beam, the engineer would strike it with the tuning fork and rest the fork's head on the beam. The tone produced would tell if the beam had a flaw, such as a crack or a void. Bad beams were rejected and good beams were lifted to their place in the Dome, where they remain today. 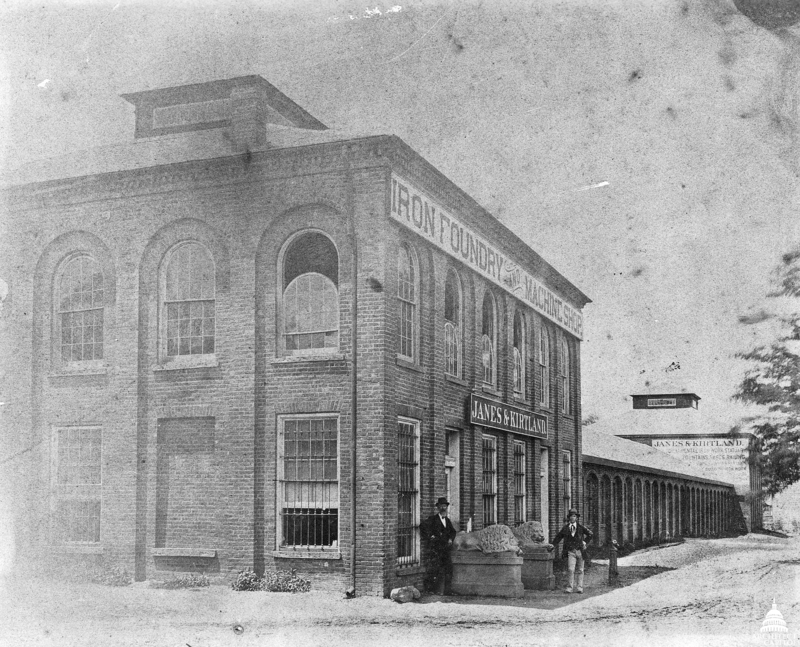 LEFT: Iron foundry of Janes, Fowler, Kirtland Company in The Bronx, New York, where iron for the Dome was cast at seven cents per pound. 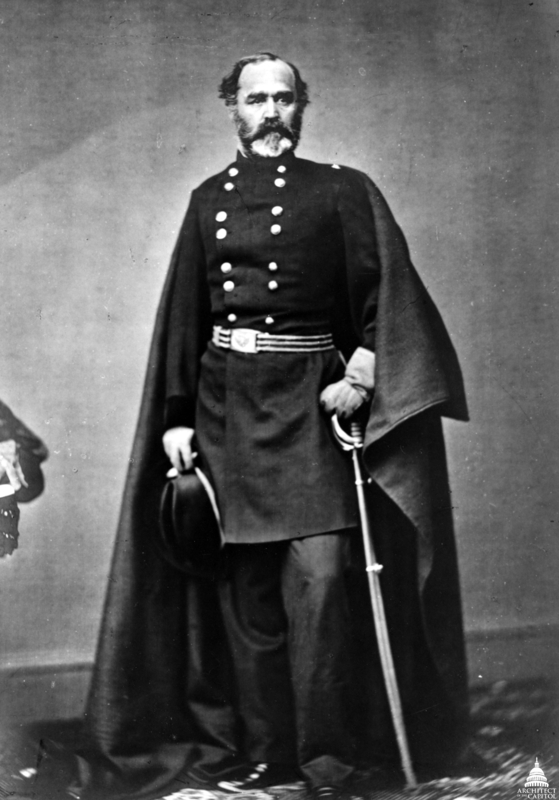 (photo circa 1862); RIGHT: Montgomery C. Meigs, U.S. Army Engineer, who oversaw construction of the cast iron Dome. Modern industry has moved on to more sophisticated technology, but the Curator Division is happy to have this unique artifact in its collection.